Currently, it's hard to find what plugins/themes a user reviewed. And as a user, it's hard to find the plugins/themes you reviewed. The additional benefit here is that this makes it easier for users to edit/update their reviews. 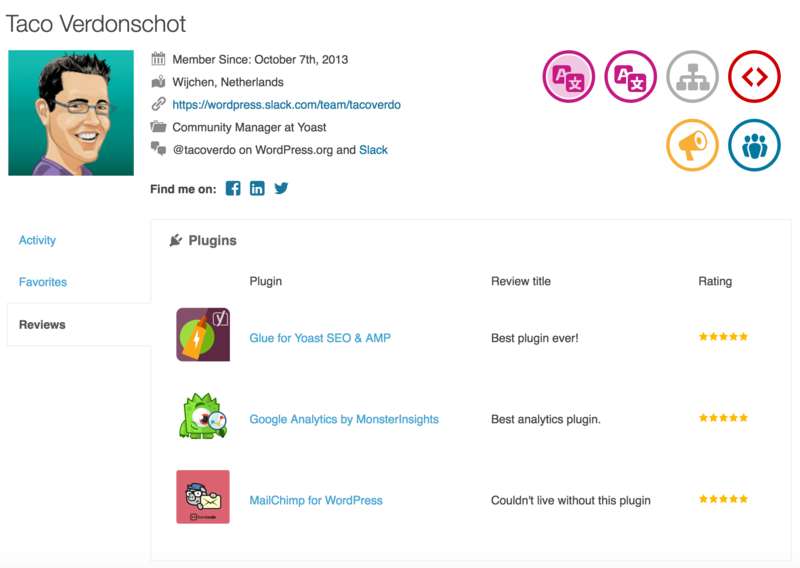 WordPress_›_Profiles_»_Review_Example_Other.png​ (310.8 KB) - added by TacoVerdo 2 years ago. 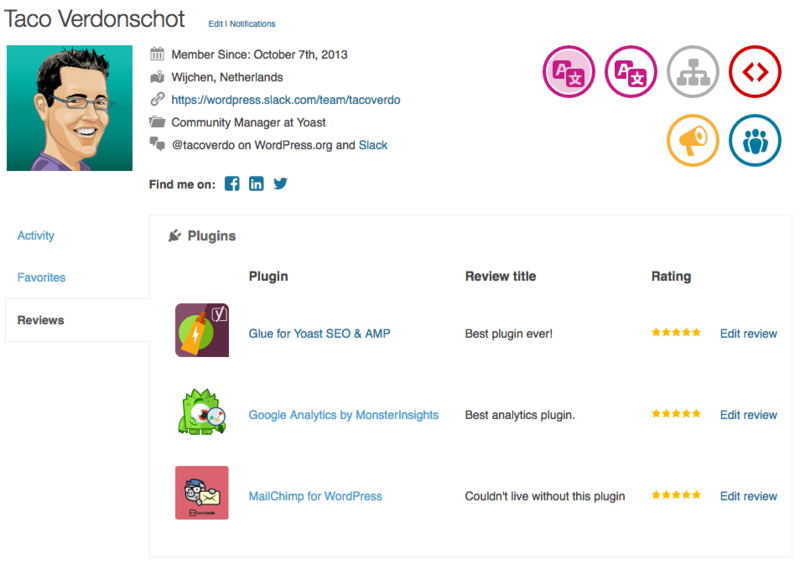 WordPress_›_Profiles_»_Reviews_Example.png​ (132.7 KB) - added by TacoVerdo 2 years ago. In #2007 a Reviews tab was added to the forums profile: ​https://wordpress.org/support/users/tacoverdo/reviews/. Adding it to the main WP.org profile as well still sounds like a good idea.